Duracell® LED Lamps, Powerful. Economical. Sustainable. Compared to an incandescent lamp, LED lamps are more powerful and consume up to 85 % less energy. 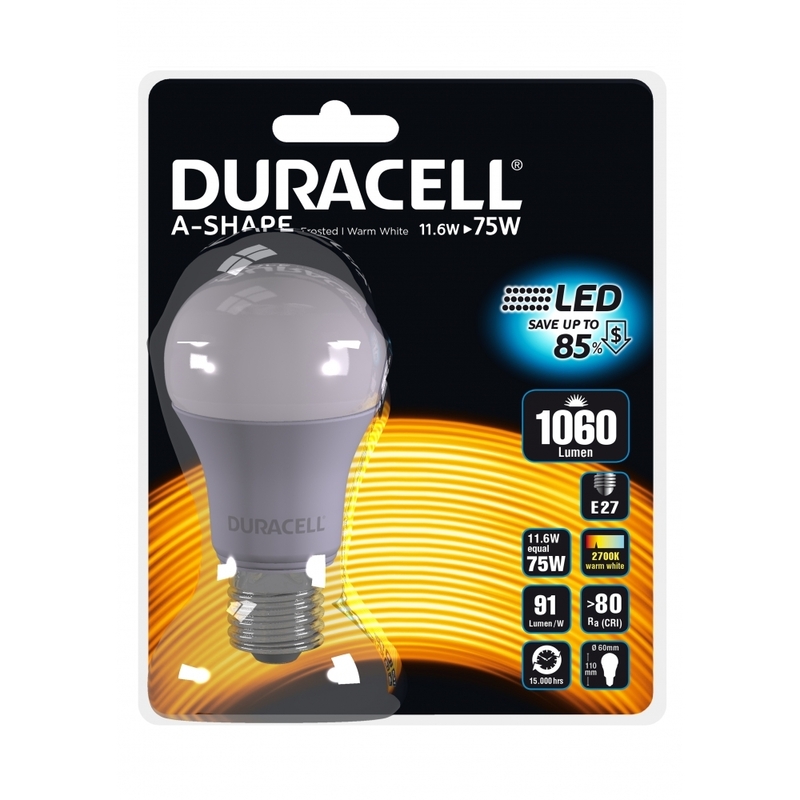 Furthermore, Duracell® LED lamps last up to 25 times longer than incandescent lamps.